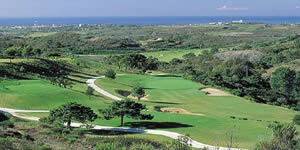 Designed by Seve Ballesteros, Los Arqueros Golf offers panoramic views of the Marbella landscape. Although set in the mountains, the course is not long and fairly easy to walk. Fairways are rather narrow and hazards are constantly in play.